Nicolas J. Allen PA-C, MPAS is a nationally certified physician assistant. He has over 12 years of experience in urology, general surgery and orthopedic surgery. 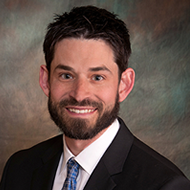 Nicolas is past president of the Idaho Academy of Physician Assistants, teaches physician assistant studies as adjunct faculty with Idaho State University, and is a clinical coordinator for the College of Idaho’s branch of the ISU physician assistant program. He has also served as administrative director of Genesis World Mission, starting the Garden City Community Clinic and participating in several projects in Africa. He earned his bachelor’s degree in quantitative analysis from the College of Idaho and his master’s degree in physician assistant studies from the University of Utah.